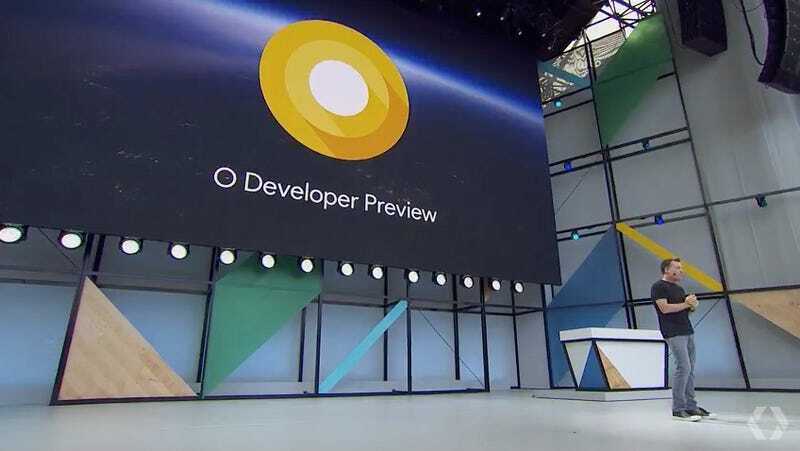 Today at the annual Google I/O developer conference, we learned about all the updates coming to the latest version of Google’s mobile operating system, dubbed Android O for now—at least until its official release later this year. This is the eighth version of the OS (Android 8.0), and even though we’ve seen some of the additions in the developer preview that launched in March, there’s a whole swath of new goodies that Google highlighted at the show. So, without further adieu, here are all the new updates coming to Android. Eager fans will be happy to know that the Android O beta is being made publicly available for download today. The build is still unstable given that it’s not an official release, so we’d recommend against installing it on your primary device if you choose to start testing it out immediately. Most of the updates coming to Android involve little tweaks to the operating system that make it perform better and easier to control. One of the easiest places to see these changes is in the completely overhauled Settings app. The new version of Android has fewer top-level options (making it easier to navigate) and slightly tweaked interfaces for things like battery usage. This should help combat the criticism that Android has too many menus and is difficult to navigate. One of the other major updates is the addition of picture-in-picture (PIP) mode. The new PIP mode lets users continue watching a video in the corner of the screen while simultaneously running another app. So, for example, you can watch a YouTube video while you’re also writing an email, sending a text message, or taking notes The feature works similar to Samsung’s multi-window support on newer Galaxy devices, but Google’s version also lets users resize the window like they would on a normal desktop computer. Android O also makes notifications way better. This starts with Notification Dots that show up as a tiny dot on an app icon as alerts roll in. The cool thing about these new notifications is that you can long-press a Notification Dot and see the alert right from the home screen. You don’t actually have to launch the app or pull down the notifications menu from the top of the screen. In addition to dots, Android O adds Notification Channels that make it easier to sort through notifications of a specific type. For example, you could set up a channel to receive notifications for technology news only, so that you’re not bombarded with political news all day long. Or you could bundle all of your Gmail notifications together, so that your lock screen isn’t popping off with every little message you receive. Other tweaks include adaptive icons that will help the operating system look more uniform across devices, WiFi Aware that lets you transfer files over a wifi connection without the need for an internet connection, and Autofill APIs that will let you quickly type in information like addresses and phone numbers (similar to what’s already available on Chrome). That brings us to the biggest (and least visible) update of them all. Android O will now include background execution limits that essentially limit what apps can do in the background to save battery life on your device. Google previously adjusted some of these limits in Android N, but the company is going a step further in this new update to squeeze more life out of Android phones. Altogether, these updates should make using an Android phone better and easier to personalize. Google announced Google Play Protect, a service that’s available on every Android O device out of the box. It scans your device on a regular basis in addition to scanning every app you decide to install to protect against malware. Google’s director of product management at Android, Stephanie Saad Cuthbertson, said during the keynote that Google is already using machine learning to scan over a billion devices daily and more than 50 billion apps every day to prevent the spread of malware. Google Play Protect is basically a way to show phone owners how the operating system is keeping their device safe. 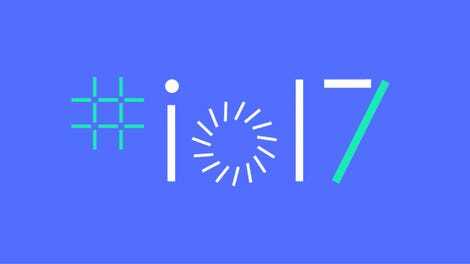 First, Google will make the latest version of its operating system, Android O, work on phones with lower specs. This means the company will cut away some of the more demanding processes and animations. Of course, beyond the phone’s performance, data cost and intermittent connectivity have proven to be among the greatest challenges faced in emerging markets. Google is targeting this problem by creating data management quick settings that can be accessed by pulling down the menu from the top of the screen. The company has also created an API that carriers can integrate with to make sure that you phone’s not gobbling up too much of your pre-paid data. Google apps will also get smarter about data. The Chrome data saver feature that simplifies web pages, for example, will be turned on by default. The Android Go version of the app will also show users how much data they’ve saved by using this optimized version of Chrome. Additionally, Google introduced YouTube Go, which gives users a preview of videos before the whole thing is downloaded. It also has the ability to save videos while you’re connected, so you can watch them later when you’re offline. For more info on this project you can check out the Building For Billions developer page. Technically, the Google brain isn’t part of Android specifically, but it will dramatically affect the way we use our Android devices, so it feels right to include here. One of the biggest announcements at this year’s conference is the announcement that Google Assistant, the artificially intelligent competitor to Siri, is finally coming to the iPhone. The app is free for download starting today and integrates with other Google services like Calendar and YouTube. It’s also getting a slew of new improvements. Android Auto hasn’t gotten much love or attention since it launched in March 2015, but that changed this year thanks to the tweaks made under the hood of Android O. The new operating system gives Android Auto a much-needed performance boost that means it will boot up faster and switch between applications more quickly in your car. It also means that things like notifications will be bundled together more nicely, making it easier to use your docked phone while you’re driving. Google also announced that Audi and Volvo will be using Android as the operating system in upcoming cars. The obvious appeal here is all the new voice-control capabilities enabled through Google Assistant, which is already integrated into Android Auto. The key update is that now Assistant and Android will be able to control car functions like heating, cooling, and seat positioning in cars from Audi and Volvo. Sadly, we didn’t see any major updates to Android Wear at this year’s conference. Android Wear 2.0 only debuted in February, so it makes sense that Google is still working on getting the operating system on old smartwatches and polishing the latest release. Given the slow adoption rate of Android Wear, we have a feeling most people won’t care about the lack of updates (yet) at this year’s conference.